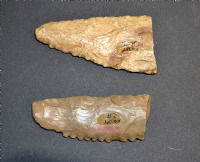 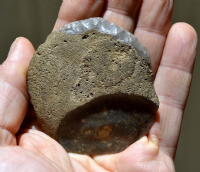 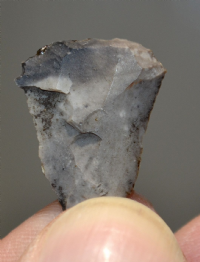 A pair of large Neolithic pot shards and two Auroch teeth, excavated in same context in Kent. 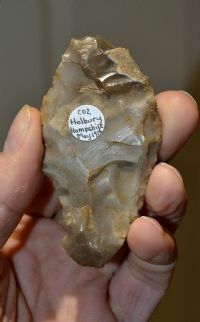 A large, well worked and excellent Mesolithic flint hand pick, Cranborne Chase, Dorset. 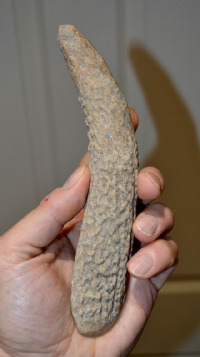 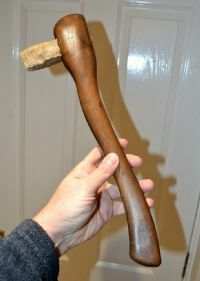 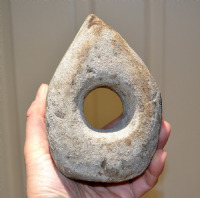 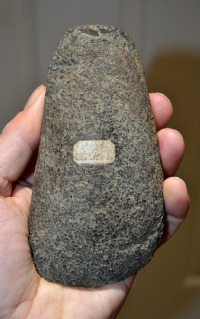 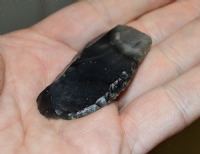 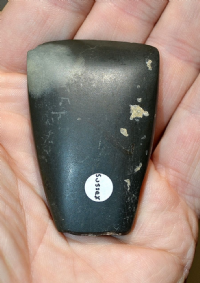 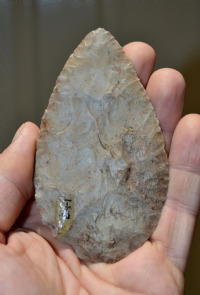 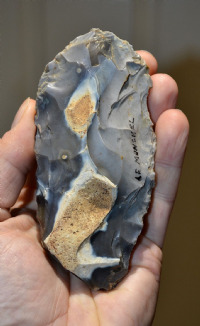 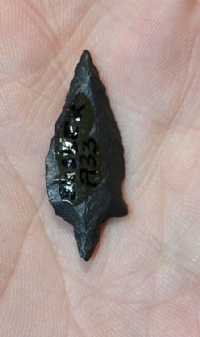 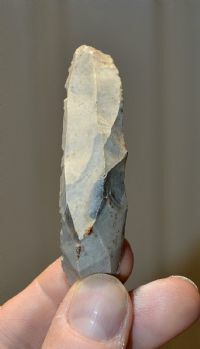 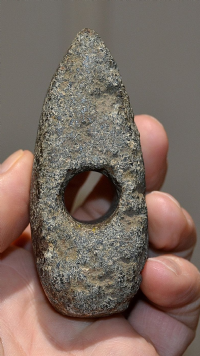 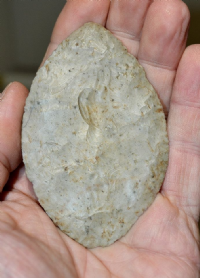 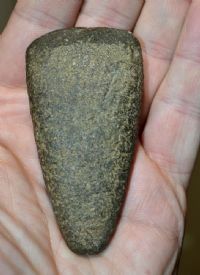 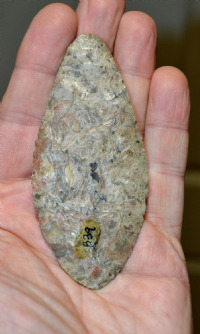 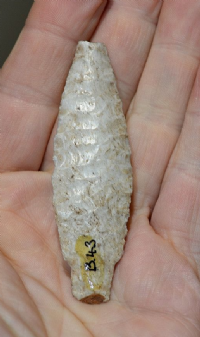 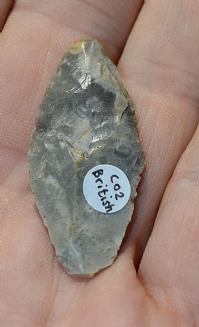 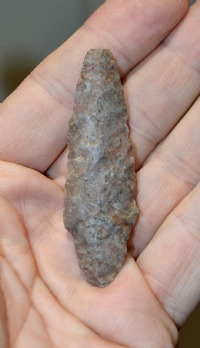 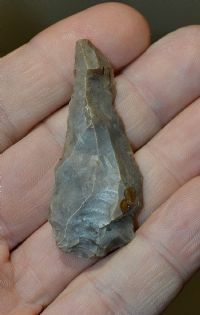 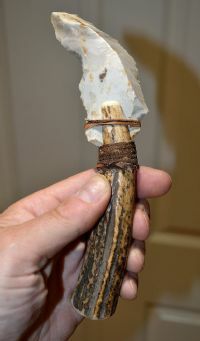 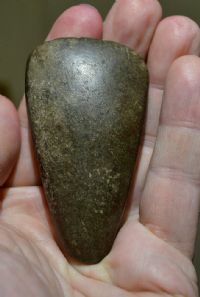 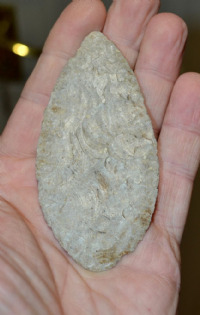 A pleasantly worked Neolithic flint knife tool from Hertfordshire. 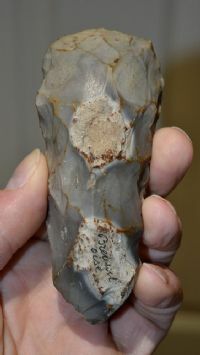 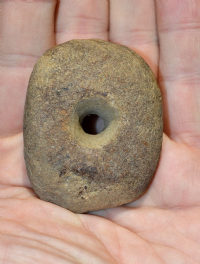 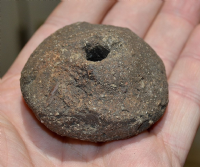 A nicely worked Neolithic flint awl / borer from Swaffham, Norfolk.